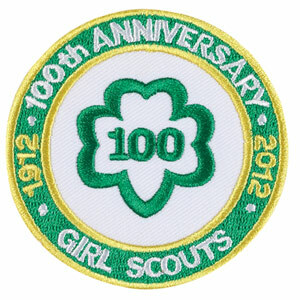 March 12, 2012 marks the Girl Scouts 100th anniversary. While Girl Scouting is a worldwide institution, Savannah is the birthplace of Girl Scouting in the United States. As such, our member inns look look forward to this amazing time when they and the city bear witness to many girls in green, khaki, and blue in honor of this 2012 National and Savannah Event. And welcome them, we will! For those of you who lack a Girl Scouting background, let us fill you in on a brief bit of history. Juliette (nicknamed Daisy) Gordon was born in Savannah in 1860, and married to William Mackay Low in 1886. During her life and travels, she met Robert Baden-Powel, founder of the Scouting movement, and recruited Juliette into the Girl Guiding movement in England. Juliette organized troops in England and Scotland before she returned to Savannah. Once home, she recruited girls and leaders to register the first troup of American Girl Guides on March 12, 1912. Thus the modern-day American Girl Scouts were born. We expect a pilgrimage of literally thousands of Girl Scouts and their leaders to visit the city in honor of this milestone. Girls from more distant homes are expected to stay at least three nights in the city. Savannah therefore has activities planned in honor of the March 12, 2011 anniversary date, and the weekend prior. 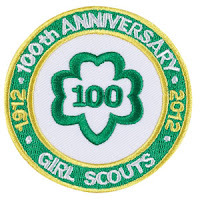 On Saturday, March 10, 2012, a sea of girls and scout leaders are expected to walk across the Talmadge Memorial Bridge to symbolically bridge to the next century of girl scouting. On Monday, March 12, a sunrise service in Forsyth Park will be held in honor of this very special day. The Girl Scouts of Historic Georgia will host events for girls of all ages. The Juliette Gordon Low Girl Scout National Center, or Low House, was Juliettes birthplace. Consisting of the Low House and Girl Scout club-room carriage house, this National Historic Landmark is already booked solid with tours for the Anniversary Weekend, and additional abbreviated tours will be offered from the 12th through the 16th to accommodate more of the anticipated visitors. In fact, the attraction will probably be very busy throughout the remainder of 2012, as scout troops make post-Anniversary trips to the city. Savannah, Georgia bed and breakfast inns are happy to welcome and accommodate Girl Scout troops during their visit to our beautiful city! Contact the inn of your choice for price and availability.